Today, members of the Campaign attended the NSFT Board meeting in Ipswich. 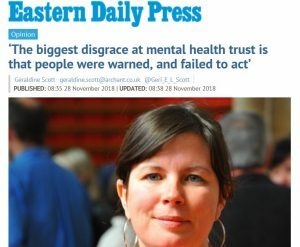 Bosses at the trust running mental health services in Suffolk have pledged to fight for their “fair share” of funding as they bid to turn round the fortunes of the organisation. 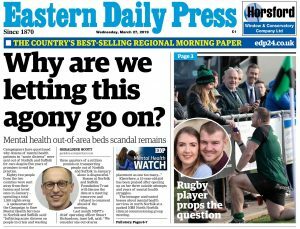 The Norfolk and Suffolk NHS Foundation Trust is hoping for additional funds of up to £8million for the next financial year, which comes on the back of a promised cash increase nationally. Negotiations are currently taking place between the trust, which was officially placed into special measures last week, and clinical commissioning groups in both counties for 2015/16. But at a public meeting in Ipswich yesterday, board members voiced concern that the full funding they expect “may not materialise”. 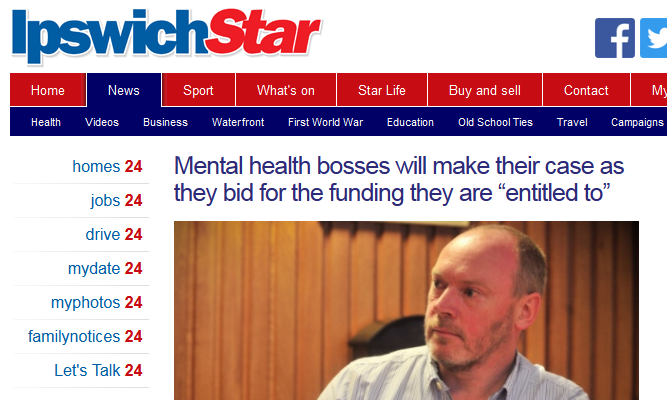 Gary Page, chairman of the trust, said that mental health had not had its fair share of funding in the past and that the organisation wants “every penny” it should get. The Ipswich and East Suffolk and West Suffolk CCGs is among the majority of groups nationally to get an increase in funding, however it is not known yet how this will be placed. NSFT claims it doesn’t receive sufficient funding but Norman Lamb says it does. Norman Lamb claims NSFT does get enough money but that mental health doesn’t. 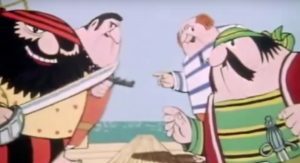 NHS England, well, who are they and what do they do? We’ve been campaigning for more than a year and we still haven’t worked it out. Except that NHS England sits between the government and the CCGs. The seven CCGs claim that they don’t get the money they need from Norman Lamb’s government and NHS England and don’t see themselves as answerable to anybody. Norman Lamb is the minister directly responsible for mental health but claims to be campaigning against his own government and portfolio. 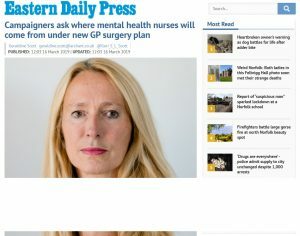 Norman Lamb claims to be a champion of mental health but has seen mental health budgets cut and suicides rise. Norman Lamb claims to be a champion of mental health and claims the credit for initiatives that he refuses to fund. Norman Lamb tries to blame the CCGs but his government created them. Norman Lamb tries to blame NHS England but his government created it. Norman Lamb claims to be powerless but also wants to take the credit for being the minister for mental health. Norman Lamb is duplicitous: he says one thing, does another. All the time. I would love to believe that Mr Lamb coming on a shift would make a scrap of difference. Anyway, he’s far TOO busy writing his next soundbite on how he’s ‘saving mental health services’ to have any spare time.